We had expected to be at the end of the day’s walk by 5pm. We got an early start on our fifteen mile day, heading out under blue skies that promised to turn rainy later in the afternoon. We reached our highest point before lunch. All downhill from here, I thought. I forgot how moorlands can stretch on forever. And how the rain can blow in without warning. I don’t always remember how the rain thrashes you around a bit when the wind blows. And then little bits of hail can hit hit your face so hard that you aren’t sure if you are going to laugh or cry. Oh, and then sometimes a small detour can quickly turn fifteen miles into twenty. All these details are deep in my subconscious somewhere after years of walking unfamiliar trails in unpredictable weather. So often I don’t properly prepare my companions for the twists and turns that a day of walking in Scotland can take. All of the above circumstances combined to leave the Speyside Sistas (as we called our party of three gals walking The Speyside Way) literally crawling up the driveway of our evening’s lodging, well past the usual hour for the evening meal. The Cragganmore House was a welcome sight for sore eyes (and blistered feet). Helen welcomed us in just the way I like, like soldiers home from war. I must admit that I enjoy being coddled a bit after a long walk. And whether I have come five miles or fifty, I will not refuse a hostess’s offer of tea and biscuits nor her laments about the weather if its been raining. We settled quickly into our rooms and while Rhonda and Carol showered, I consulted with Helen about what would be a rather late dinner. Her husband, the resident chef at Cragganmore, had given us more choices than I would have done for a party of just three gals at dinner, especially considering that in our famished states, we would have been happy with bowls of broth and crusts of bread. As I checked off our choices, Helen warned me that the following day would probably hold a few more miles than we had counted on due to some re-routing of the trail around some farmland. “Oh yes. Wait until they’ve had some wine,” she whispered back. I went upstairs and had my tea in the turret before taking a long bath. A hot soak does wash away all that tensing up in the cold weather. I closed my eyes for just a minute, enjoying the slow thaw of each muscle. An hour later, completely relaxed, we all descended for dinner with only the slightest of limps. A fire was waiting for us in the dining room. Bliss! We oohed and awed our gratefulness at such a treat. The first of May might have seemed too late for a fire for most folk, and Helen told us that they had indeed already swept the chimneys for the season. But then, as it can do in Scotland, a freeze had returned and they lit the fires again. She reminded us to turn on the heaters in our rooms to prepare for a cold night. Dinner was exquisite. We tried to be ladylike and not scarf it down like animals, to be worthy of the gorgeous table and regal room. I think my hunger got the better of me though, and I just barely refrained from licking the caramel sauce from the dish that was poured out over my apple crumble. We laughed as the sun came out. 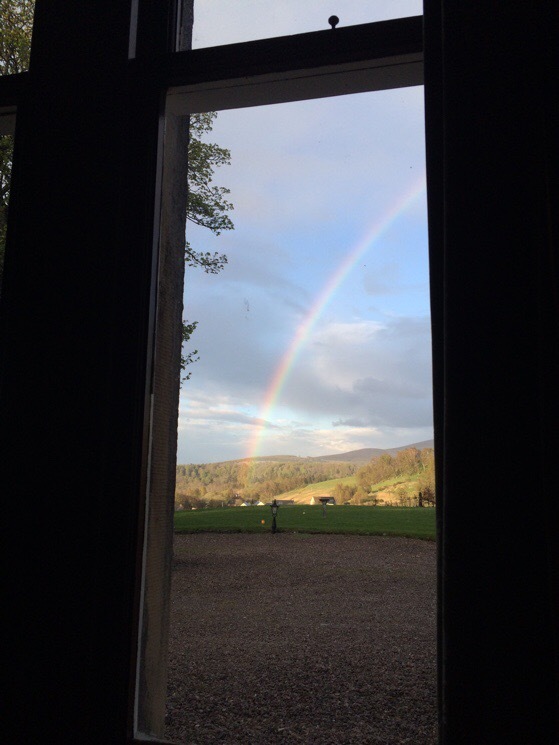 May days are long in the Highlands and we even caught a glimpse of a rainbow through the dining room window. 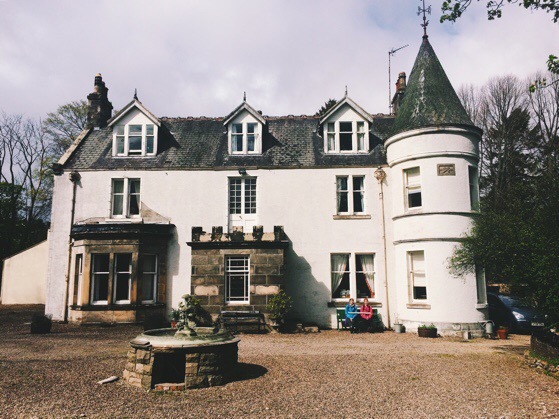 When our tummies were full we talked with Helen about how she and her family had moved up to this part of Scotland years ago to lovingly restore this house that was once a part of the neighboring distillery’s estate. Rhonda, Carol and Helen discovered they all had a mutual love of Boxers. 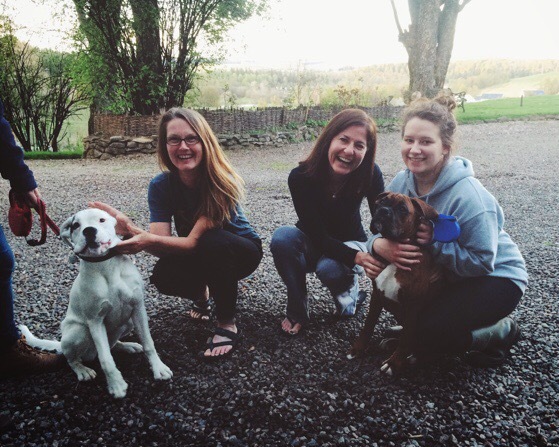 When the gals found out that there were two Boxer puppies in the house, they would not rest until they got to meet them in person. This was to be the beginning of Rhonda and Carol’s stopping to pet every dog we passed on the Speyside Way, a sign, I suppose, that they were missing their own canines back home. Being the sort of person who does not really do animals, I was surprised every time they accosted another stranger with a dog. I could not deny them the opportunities that gave them so much joy, but I did keep my distance. And just look how happy they are. Of course, this was before I told them that we had a few extra miles to walk the next day. But first, we would sleep. The next morning we had a gorgeous breakfast in the dining room before going next door to visit the small distillery. 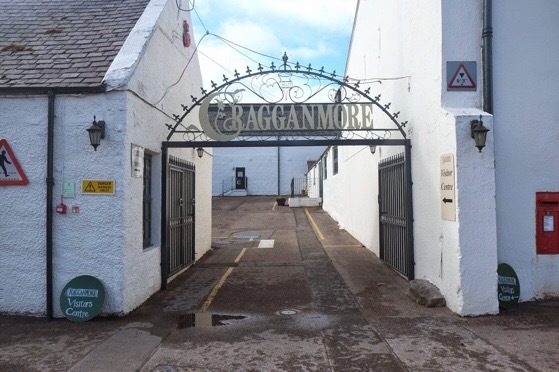 Cragganmore is one of several small distilleries in Scotland that you can tour and once you have paid the small (five pounds) fee to tour one, you can join and tour the rest of them for free. I tend to really enjoy these smaller tours because they are so intimate. On the morning of our visit, we were the only three people on the tour. 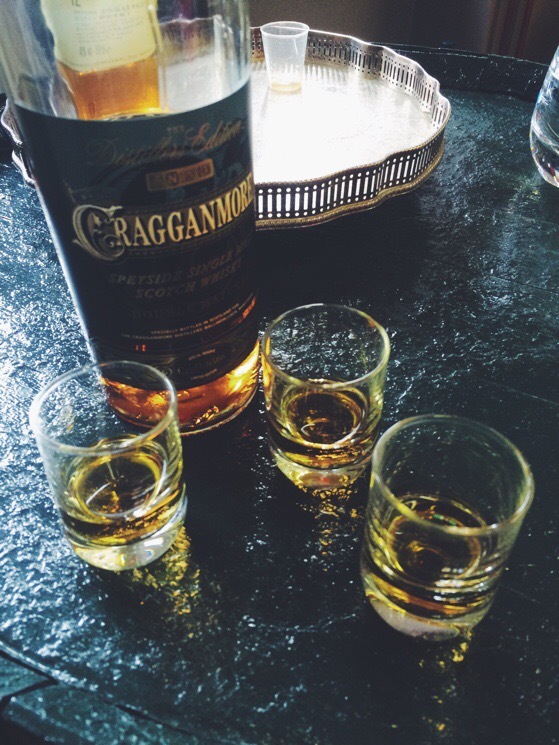 After the tour, we got to taste the special Distiller’s Edition of the Cragganmore Whisky which we all enjoyed so much that we purchased several bottles to take home. 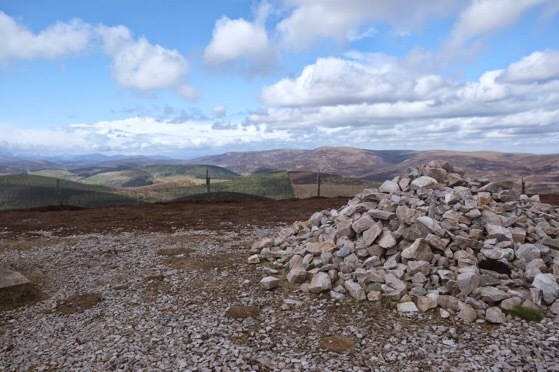 We had left our luggage next door at The Cragganmore House, so we thought we would just run back over and pop it in our bags before they were picked up. Then we would head on down the trail. Of course, when we got back to the house, our luggage had already gone. “No matter.” Helen said, as she took our bags and bottles of whisky from us. She was sure the driver could stop back by the next day and bring them with our bags to Aviemore where we would be ending our walk. I told her that I would phone when we reached our destination for the day and see if there was anything I needed to do from my end. And then we were on our way, walking this deserted railway line through spring green forests. Because the path was so straight, I neglected to notice for several miles that I was without my trekking poles. I was heading up a hill when I reached for them and remembered that I had leaned them on the outside wall of the distillery before our tour. Oops. I resolved not to think about it until later, and so off we went through forests and farms. In and out of rain showers. Over the Spey River and on to the next town. Again, our morning of whisky touring and tasting pushed our arrival into the next town past the dinner hour. We found a pub across from our B&B that served dinner. Rhonda said that she was about to discover a new meaning for the term pub crawl. We stayed at our table long after our food was finished because we were loathe to stand up and walk another step. Laughing we hobbled across the street and up the stairs before I remembered to phone Helen about the trekking poles and whisky delivery. She wasn’t in but her daughter assured me everything had already been arranged. We started calling Helen our “Trail Mum” after that. The next day when we arrived at the end of our walk in Aviemore, all of our things were waiting for us. We cheered when we saw it all, probably at the combination of finishing our walk and seeing that Helen had taken care of us. Two days later, we were back at home unpacking and I decided that I must have left my yoga pants in an apartment in Edinburgh, which we had visited after our walk. A little later, Carol was taking her whisky out of the plastic bags to wrap it for the journey back to the US, and she found my yoga pants folded in next to her bottles. Apparently I’d left them behind at Cragganmore. And of course, Helen made sure that they found their way back to me. 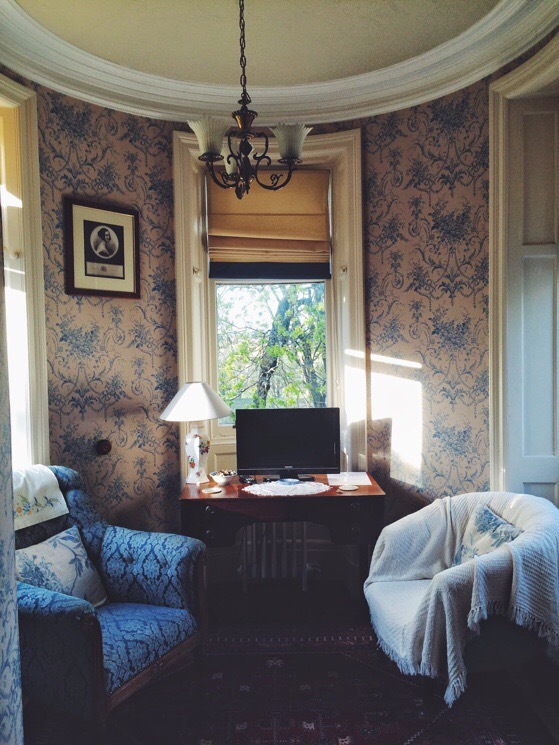 I have been delighted with the lovely accommodations that Macs Adventure seeks out for us on our walking holidays, and The Cagganmore House was certainly one of those very special places along the way. 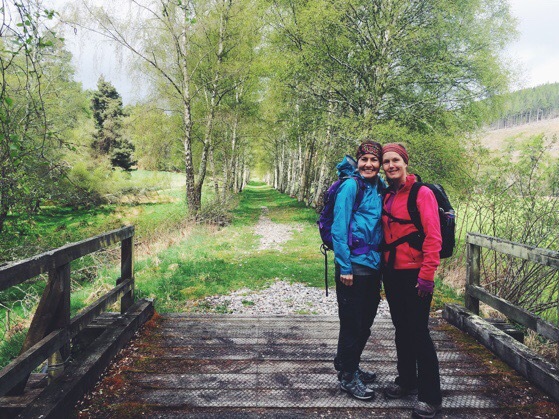 I think that Helen and Sheila (from our lovely first night’s stay on St Cuthbert’s Way) could be sisters. 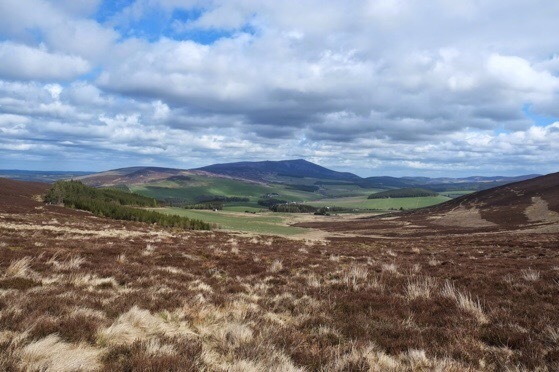 Our Speyside Way walk was made possible in part by the good folks at Macs Adventure, who should in no way be held responsible for my tendency to get lost or our ridiculous YouTube videos.